I just spent a week working in the Province of Frosinone with Janeen Bjork a professional researcher from America. She was working on a huge DNA project involving diverse families whose patriarchs were recruited to work in a stone quarry in Upstate New York. The families came from several towns around my home base. Some of the descendants of the Italian men who worked in the stone quarry matched other descendants in the study, some had shared matches, some only matched one other participant in the study. She was also trying to identify the relationship of some of her DNA matches who had migrated to another part of New York State. Janeen had collected as much information as she could from each family. She had also done a lot of work online, using several genealogy and newspaper websites to augment what the families could tell her (and she found conflicting information that had to be resolved). She also had looked at some documents in the digitized microfilmed records available at Family History Centres. She speaks a little Italian (enough to get by), she understands the format of the records, and she knew what she was looking for. Why did she need me? What she needed from me was my knowledge of the records (both civil and religious) available in the various towns, the set up of each record set (the books varied widely in how they were organized) and the hours the offices were open. 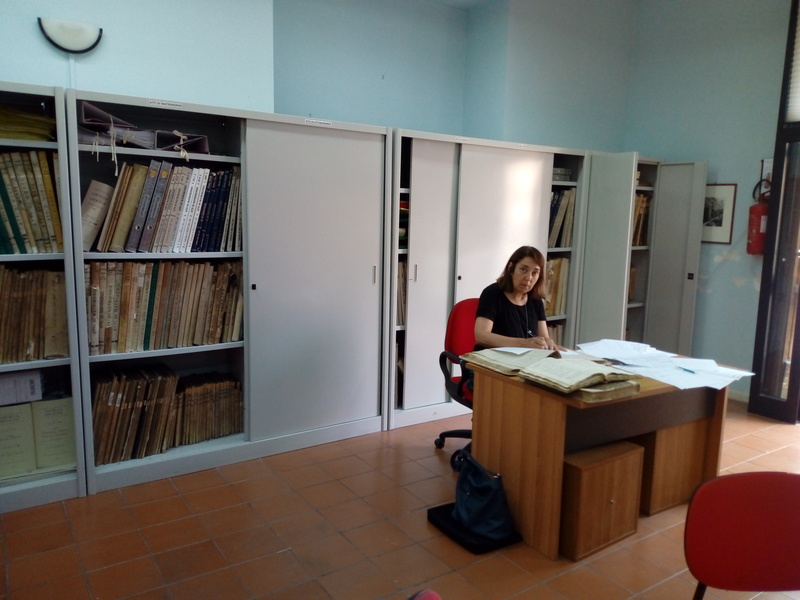 She had spent a full day in 2012 looking at records in the Comune of Arpino and in two Arpino churches and she knew she needed someone who could make out handwriting and abbreviations that she could not. She also had information from the families involved that had her looking in the wrong towns, and I was able to redirect her to an adjacent town where that family actually lived. The fact that I was already known to the staff and she would be allowed personal access to the records was a bonus. We set up a schedule that would maximize her time in the various archives. We were able to work every morning and afternoon except Friday afternoon! Arpino was her first priority and anyone searching the civil records on microfilm will know that there are no indexes in the registers but in the town offices there are index books from 1809 for births and deaths, and from 1846 for marriages. They don’t have all the registers for the period before 1865 but to be able to identify the dates and the act numbers to take home ready for the digitized microfilms would be a great time-saver. Also available were personal record cards for those living in the town after 1921 and a most interesting civil census for 1814 that included the ages of the family members. Castelliri and Isola del Liri were also on her list and they also have master indexes for births, marriages and deaths back to 1809 and most (but not all) registers back to 1809, but their personal record cards dated from 1936 so were not accessible to us. 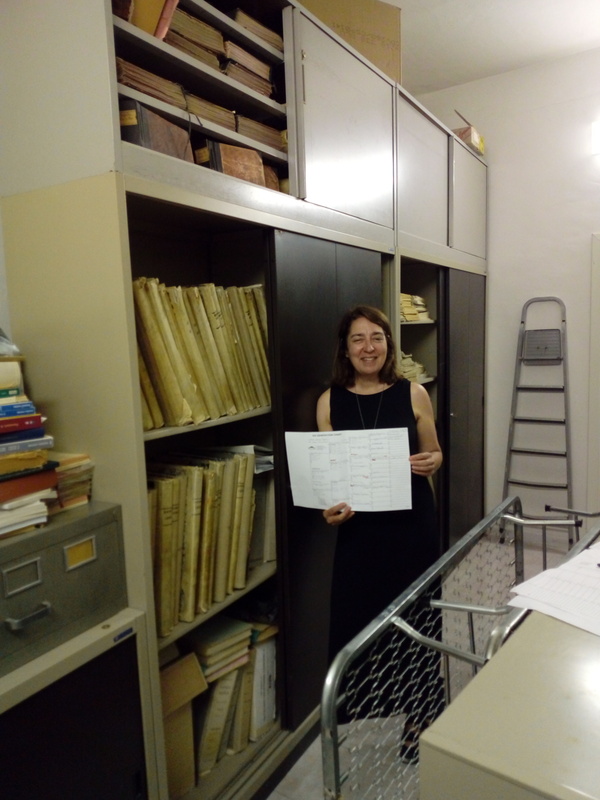 Sora was just a small part of her project but we were able to find a lot of information in the Register of the Population (a tremendous time saver as it links generations) and access records prior to 1865. Janeen had interviewed one DNA match, an estimated 2nd to 4th cousin to her mother, and discovered that there were three surnames in the last five generations of both their family trees. It’s possible that they’re related on three lines, more than 200 or even 300 years back. It was a great week, and we were a great team, two professionals bringing their respective skills and knowledge together. ← Inheriting property in Italy- on occasion….meglio di no! Sounds like a very productive and satisfying visit! Bravo to all! Thanks for sharing excellent informations. Your web site is so cool. I’m impressed by the details that you’ve on this blog. It reveals how nicely you understand this subject. Bookmarked this website page, will come back for extra articles. You, my pal, ROCK! I found just the info I already searched all over the place and just could not come across. What a great web-site.